Perhaps as well-known for the classic rock song the Beach Boys made famous as for its other famous attractions such as the Rose Bowl and NASA’s Jet Propulsion Laboratory, Pasadena, California, is also home to significant historical landmarks, cultural attractions, and a dedicated group of people working in city government. 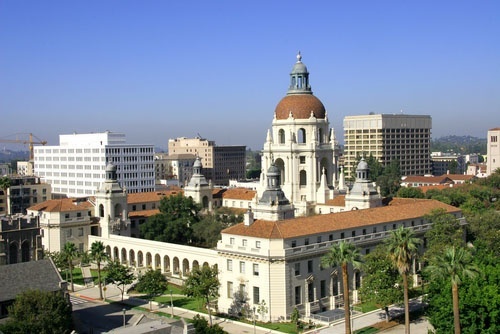 Incorporated in 1886, the City of Pasadena (“City”) has a City Council/City Manager form of government, employing more than 2,700 people to serve a diverse population of 142,250 people. Most government business takes place in the historic Pasadena City Hall—a showcase of Spanish Colonial architecture that has become a favorite location for television and film-makers. In 2013, the City, looking to find cost-effective maintenance and support for its legacy Nortel systems and Octel voice messaging, decided to take a chance on OEM-independent Continuant, largely because cost-conscious employees were convinced Continuant could deliver great service more cost-effectively than the OEM—great news for the City’s taxpayers. One of the first assignments for Continuant: Replace the antiquated Octel system with a more flexible voice messaging system. Continuant recommended that the City change over to AVST, and even handled the transition for the City. Three years later, the City renewed its contract with Continuant for another 36 months. Not only does the City look to Continuant to help maintain its legacy Nortel equipment and extend the life of a capital expenditure, but it takes advantage of the engineering expertise at Continuant for other projects—such as the maintenance of the City’s IVR server. Today, Continuant also successfully maintains four Nortel systems for the City: Police Department, Power Plants, Administration Building, and its Health Department.